Hundreds of people made their way to a popular coastal town to watch a new ship launch into the water. Nothing happened. The ship didn’t budge. He signaled again. Nothing. The crew investigated. They found the problem. Some holding blocks hadn’t been removed. Once they removed the blocks, the ship splashed into the water and the crowd cheered. The ship began its new life in its natural environment. Like the ship, your natural environment is free of blocks. To get there, you must remove the blocks that prevent you from your natural creative flow. 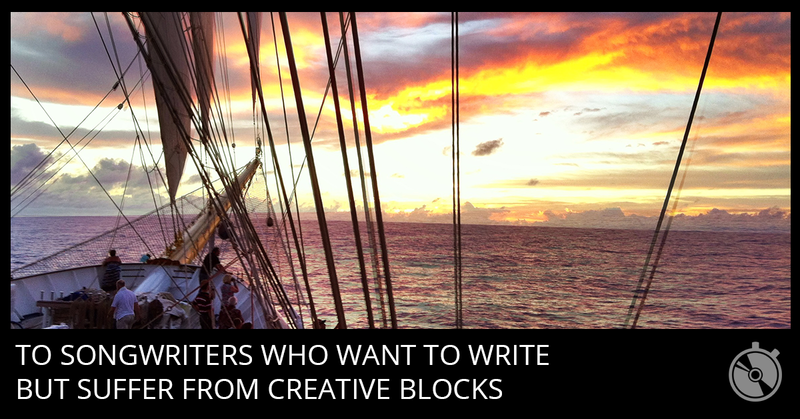 What are some of the blocks that hold creative people back? Creativity involves making new things, things that aren’t yet known. If you’re afraid of stepping into the unknown, you’ll struggle to experience a state of creative flow. Boldly dive into unexplored waters. Seek out new experiences. Remove any blocks that keep you traveling in uninspiring and too familiar patterns. In my Peak Performance Musician Program, I assign a specialized assessment. A big goal of the program is to develop elite levels of skill through deliberate practice. The assessment gives you a baseline and includes a scorecard that you can track and improve over time. Through mountains of research and evidence, here’s what we know about skill acquisition. You must receive feedback on your efforts to know if you’re making progress. It’s like stepping on the scale or taking measurements when you want to lose weight. It can be scary to know the truth about yourself. But without self-knowledge, there’s no way to know if what you’re doing to lose weight is working. It’s the same for acquiring a skill like songwriting. If you don’t know what you don’t know, then you don’t know how to get better. You must know your current ability to learn a new skill. And you must get feedback as you work to improve. Another creative block is avoiding failure. You learn and improve by failing. You might get lucky once in awhile, but you should expect to fail more than you succeed. There’s a gap between where you are and where you want to be. You desire to travel to a new place that’s currently unknown to you. To bridge that gap, you need to know exactly where you are. And to the best of your ability, you need to imagine exactly where you want to end up. Once you have your destination in mind, you need to fail forward. The faster you fail, the faster you get feedback that will help you succeed. A truly creative person counts failures as victories, as feedback on the way to success. Shift your mindset from seeing failure as a loss to seeing it as a gain. You can’t have courage without fear. But you can’t have courage without letting go of your fear of failure. Cynicism is a clear sign that someone has accepted defeat. Cynicism is lazy. Cynicism lacks curiosity. Cynical people would prefer to drag people down to their level. They’re afraid to admit being responsible for their state of mind and their talent. Don’t withdraw into discouragement. The way to break through discouragement is through engagement. You want to be capable and competent. If you’re being cynical or discouraged, then you aren’t being capable or competent. You’re settling for failure. Encourage yourself to keep improving. Keep making mistakes because that’s how you learn. Every mistake you fix creates confidence in your ability. Cynicism isn’t useful. Discouragement means you’re focusing on the wrong things. Focus on how far you’ve come rather than seeing setbacks as permanent. Questions are more useful than answers. Asking questions drives creativity. The most creative people are the most curious people. Answers are slippery. They’re useful in one context and not in another. But questions lead you out of creative blocks and into new and unexplored territory. It feels nice to be confident. But true confidence doesn’t assume to know all the answers. A confident creator is willing to move forward without having all the answers. Impatience leads a lot of creative people to search for instant gratification instead of long-term growth. Sometimes, breakthroughs seem to happen instantly with a lightning bolt of inspiration. What’s ignored is all the patience that led to that breakthrough. The fastest shortcut to success is practicing the fundamentals over the long-term. 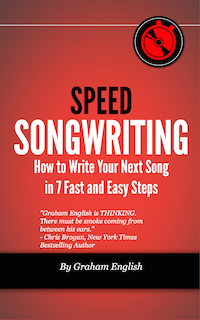 A songwriter must practice writing music and lyrics. 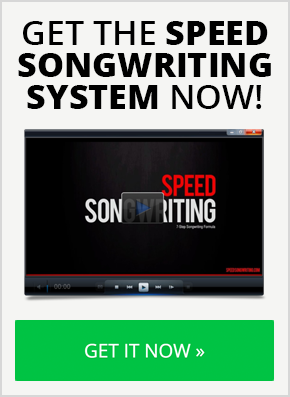 That means a songwriter is going to write some bad songs that don’t live up to our ideals. Yet many creative blocks come from the unwillingness to make mistakes. A steady commitment of study and practice is what leads to talent. Talent is skills improved by investing time and effort. It doesn’t matter where you start, if you invest time and effort, you will improve your skills. There are things within your control and there are things out of your control. Popularity isn’t entirely in your control. You can do everything “right” and still not achieve popularity. We’re conditioned to believe that the top of the Billboard charts is the best of the best. If you were to reach the top, you’d finally have definitive proof that you’re successful. But there are many more successful artists who have never become popular or ever had a hit. The world of music is much bigger than the charts. Our culture gives so much media time to the top 10 songs that it’s no wonder we can grow to envy them. And at the same time, we can grow to loath them due to overexposure and our own personal and subjective tastes. But the bottom line is popularity and fame aren’t the proof of your talent. You can have a successful career without being a celebrity. Whatever your opinions are about the charts, be careful with your beliefs about them. There’s nothing wrong with wanting to reach the top of the charts. And there’s nothing wrong with not wanting to reach the charts. Popularity doesn’t prove or disprove your worth as an artist. You have every right to make music. It’s a universal language that everyone understands and has access to. 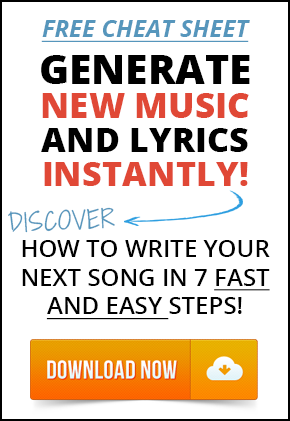 Believing only popular people should make music will block your own creativity. Beating people up for being popular or unpopular isn’t the path towards talent. Be kind to yourself and everyone else who bravely creates music and shares it with the world. It’s the golden rule. You know what they say, you can’t please everybody. And you will please no one if you allow fear to keep you from making and sharing your music. There will always be haters. You can’t stop that. You can’t control how other people feel or behave. But you can control how you respond to negativity. Your critics aren’t doing the work. They’re hiding behind their own fear and mistaken sense of superiority. They have the right to criticize. But they’ll never gain the satisfaction of making art as long as they’re tearing art down. People won’t remember what other people say about you. But they will remember what you accomplish. Work hard to create something valuable every day. Let people think what they want. What sets talented people apart is a combination of passion and perseverance. Too many of us quit what we start too often and too early. To become the best you can be, you must put in the time and effort. The good news is no matter where you are right now, you can get better over time. You’ve singled yourself out from the crowd. You’ve shown a willingness to break through your current limitations. You wouldn’t be reading this if you didn’t have hope. Thank you for reading. You obviously want to write more. You want to learn. And you’re willing to put in the time. Your peers aren’t willing to put in the time. You have an advantage. But you have to take advantage of it.